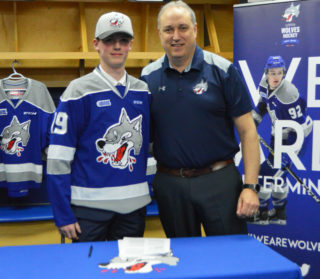 (Greater Sudbury, ON) The Sudbury Wolves selected two forwards in the third annual U18 OHL Priority Selection Wednesday evening. 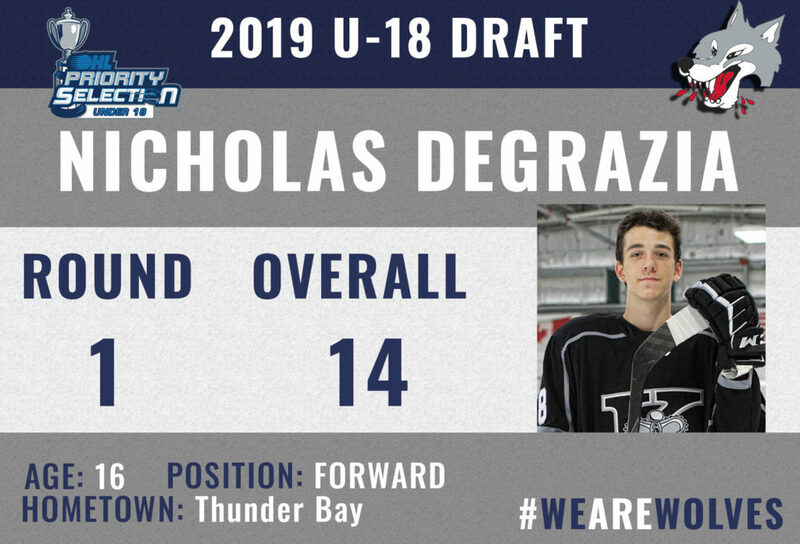 With the 14th overall selection in the draft, the Wolves selected forward Nicholas DeGrazia from the Thunder Bay Kings Major Midget AAA. In 20 games in the NAPHL U18 league this past season, DeGrazia had 14 goals and 10 assists for 24 points. 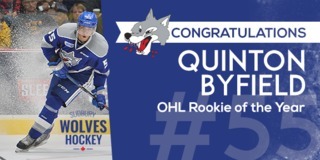 He will be competing at the Telus Cup in Thunder Bay at the end of the month along with recently drafted prospect defenseman Alex Pineau. 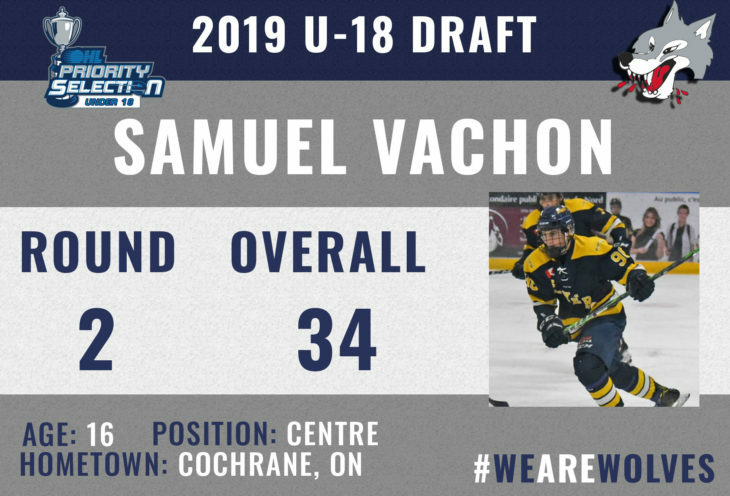 In the second round, 34th overall, the Wolves selected centre Samuel Vachon from the Kapuskasing Flyers. In 19 games with the Great North Midget League, Vachon had 19 goals and 7 assists for 23 points, along with 47 penalty minutes. 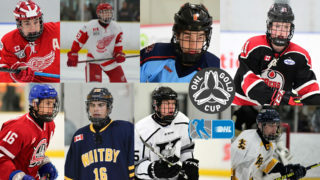 He also had 2 goals in 3 games played with Cochrane Crunch of the NOJHL this past season and had 1 goal and 1 assist in last year’­s OHL Gold Cup. 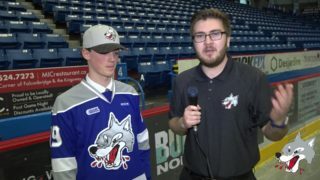 The Wolves aren’t done hunting yet as they look to avoid elimination in the Eastern Conference Semi-Final Series Thursday when they host the Ottawa 67’s in game 4 of the best of 7 series. 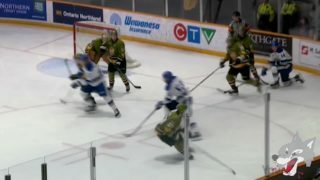 The Wolves currently trail the 67’s 3-0 in the series. 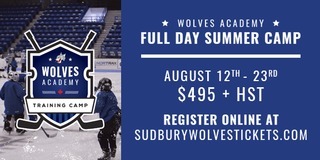 Tickets are still available at the Sudbury Arena Box Office and online at greatersudbury.ca/tickets. Puck drop is 7:05pm.